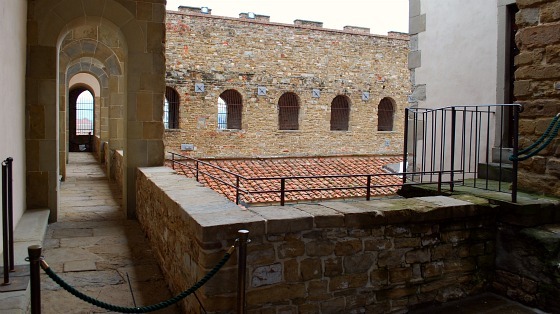 Palazzo Vecchio was the original fortified palace of the ruling Medici dynasty in Florence. It had to serve as both a stately home and also a defensive castle. The outside of the building is dominated by the impressive tower, but the inside is just as fascinating. There’s a huge ballroom which is ornately decorated, a quirky map room with some maps more accurate than others and a beautifully painted private chapel (pictured below). Palazzo Vecchio became less important to the Medici’s when the new Pitti Palace was built over the river. 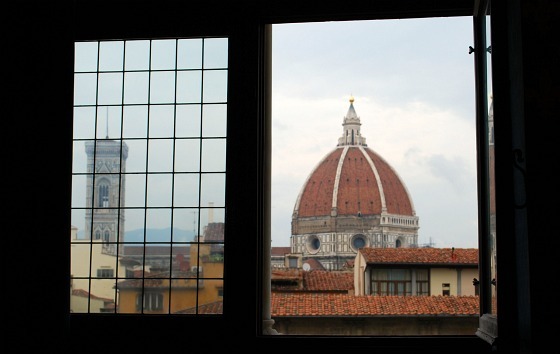 Look out on your tour for the wooden doors in the same room as the chapel which mark the entrance to the Vasari Corridor – a purpose built private walkway which linked the two palaces over the rooftops of Florence. We’d recommend taking one of the guided tours as you’ll get much more out of your visit and you get to go to places that are not on the self guided tour. Our tour guide was superb. Her knowledge of the the building was vast and she explained all the rooms we entered in a really accessible way. Her English was very good and one of the highlights for us was leaving the public areas and climbing to the roof terrace for some great views of central Florence. 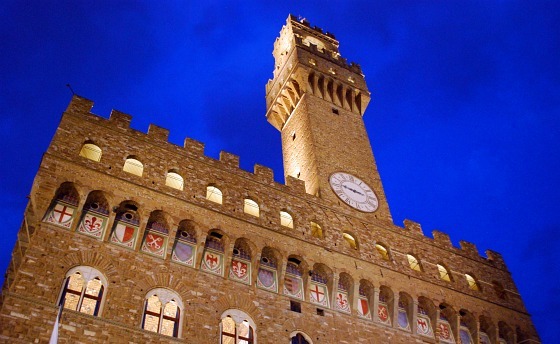 Palazzo Vecchio is open daily from 9am to 7pm but closes early at 2pm on Thursdays. There are a range of tours available, but the the one that lets you see everything is 18 Euros for adults (2016 prices). You cannot enter the Vasari Corridor from Palazzo Vecchio. Tours of the corridor are only available from the next door Uffizi Gallery and you have to be part of a specific tour to see it. 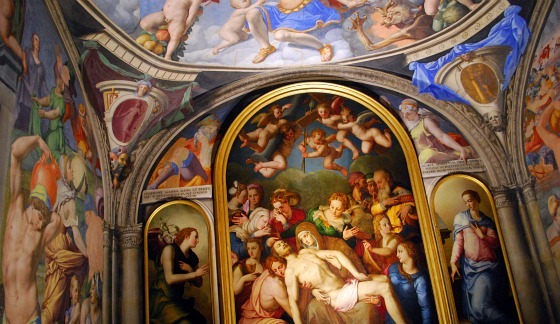 This is one tour that offers private access Vasari Corridor Walking Tour.